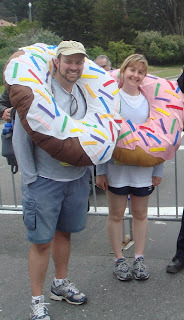 Food scientists like to dress up as donuts. We’ve been posting Food Science Fridays for a few weeks now but we haven’t explained what exactly food science is! Food science is the study of the chemistry, microbiology, engineering, and the sensory attributes of food. It involves creating and maintaining a safe, plentiful, and quality food supply and includes research and product development applications. Food scientists can work in academia, in government or in industry. Both Justin and I have worked in industry, specifically in product development. Food scientists often create the recipes or formulations for food you might buy in the supermarket. They also like to wear t-shirts about food science. 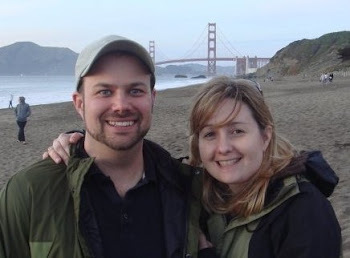 Justin and I both studied food science at UC Davis where we both received Ph.Ds in food science. Justin also has a B.S. in food science and a B.S. in nutrition from the University of Minnesota, while I have a B.S. in biochemistry from UC Davis. 1. Food science is the same as nutrition. 2. Taste-testing is part of being a food scientist. 3. Alton Brown is a food scientist. 4. A degree in food science means that you have the same culinary training as a chef. Bonus: Name the movie where the lead character was a food scientist. Bonus Bonus: Name the food invention he was famous for in the movie. We’ll let you post some guesses and then put the answers in the comments! Correct!!! You are such a superstar. I can't believe Clark Griswold is the Hollywood version of food scientists! Ha!